SonTek, advancing environmental science in over 100 countries, manufactures affordable, reliable acoustic Doppler instrumentation for water velocity measurement in oceans, rivers, lakes, canals, harbors, estuaries, and laboratories. Our instruments use sound waves to tell you how fast water is moving, where it is moving, and even if it is not moving at all. Our customers are scientists, engineers, hydrologists, research associates, water resource planners and anyone that needs to collect velocity (speed) data in every kind of body of water imaginable. The SonTek ADP (Acoustic Doppler Profiler) is a proven, capable and versatile, high-performance, 3-axis (3D) water current profiler that is accurate, reliable, and easy to use. The patented and award-winning RiverSurveyor®, S5/M9 systems give a new perspective to the notion of measuring open channel hydraulics. Using SonTek's exclusive SmartPulseHD®, multiple acoustic frequencies are fused with precise bandwidth control for the most robust and continuous shallow-to-deep discharge measurements ever. NEW! Now integrated with HYPACK®! [Learn more] The HydroSurveyorTM is a system designed to collect bathymetric, water column velocity profile, and acoustic bottom tracking data as part of a hydrographic survey. The two key components of the system are the HydroSurveyor Acoustic Doppler Profiler (ADP®) platform, and the powerful, yet user-friendly, data collection software. 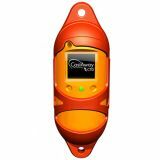 The new FlowTracker2 (FT2) handheld Acoustic Doppler Velocimeter (ADV®) has all the technology you have grown to know and trust with the original FlowTracker, but now comes with functional, modernized features (Bluetooth, GPS and large color screen, to name only a few) based on the evaluation and feedback from hydrologists, researchers and scientists who have made the FlowTracker their instrument of choice. 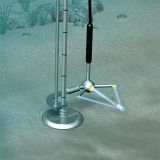 For decades, the Acoustic Doppler Velocimeter (ADV®) has been the preferred instrument for precisely-defined sampling of water velocity across a wide range of environments. 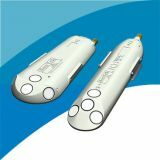 The FlowTracker2 Lab ADV utilizes SonTek’s continuing innovation in ADV platforms to offer a laboratory version of the world’s best-selling ADV, the FlowTracker2. For the first time, the ADV’s acoustic probe and processing electronics are housed in one small, lightweight, easily-maneuverable unit, and the acoustic head has an optional, integrated pressure (depth) sensor. NEW SonTek FlowTracker2 IS OUT NOW! 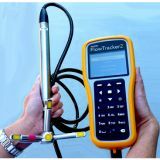 The FlowTracker Handheld-ADV® (Acoustic Doppler Velocimeter) measures 2D or 3D currents, attaches easily to wading rods, and features an automatic discharge computation using a variety of international methods, including ISO and USGS standards. The FlowTracker also features SonTek's exclusive "SmartQC" which involves a series of built-in data quality checks, so you know your data is right. At the end of the data run, just press a button and the FlowTracker calculates the discharge for you! NEW! Now integrated with HYPACK®! 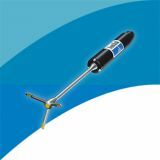 [Learn more] Designed for coastal profiling, the CastAway-CTD® incorporates a 6-electrode conductivity cell, coupled with a fast response thermistor to provide highly accurate, high resolution CTD measurements to depths of 100m. Rugged build quality with high-end ADV® performance is what the ADVOcean-Hydra is all about. 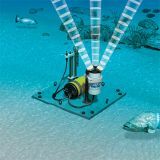 Representing the ultimate solution to measuring precise 3D velocity in the most challenging environments, the ADVOcean/Hydra can be integrated with an array of external sensors for a complete oceanographic data collection system. 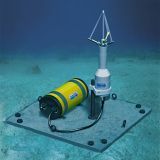 With the optional RPT pressure sensor, this powerful system is able to sample both pressure and velocity at up to 25 Hz, making it the definitive solution for studying nearshore processes. Ideal for monitoring flows in canals, culverts, pipes, and natural streams, the SonTek-IQ starts with a custom flow algorithm derived from hundreds of field measurements. Four velocity beams profile water velocity in 3-D - both vertically and horizontally - ensuring complete coverage of the velocity field. 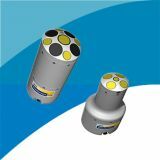 The built-in pressure sensor and vertical acoustic beam work in tandem to measure water level. Simply input the channel geometry using the intuitive SonTek-IQ software and you are outputting flow data in minutes. NEW SL1500/3000 3G MODELS! The SonTek-SL has two new (3G) models turbo-charged by our proprietary SmartPulseHD®, the featured accessories, mounting options, software, and a variety of integration formats ensure it fits your application. 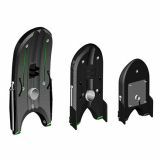 Designed specifically for mounting on the bottom of a river, channel, or harbor, the XR features a special mode that automatically adjusts one of its measurement cells for changing water level. Its small size, rugged build, and flexible system architecture make the XR attractive for both real-time operation and autonomous deployments. 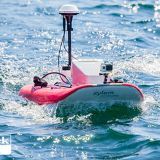 Xylem Analytics brings together a number of leading technological brands including SonTek, HYPACK and YSI to provide the world's most innovative hydrographic and bathymetric survey systems. The rQPOD is a modular system that when attached to a standard size Torrent Board housing both SonTek M9 and S5 RiverSurveyor ADCP systems, transforms into a motorised platform facilitating remote shore operation for easy collection of ADCP data. Product discontinued. Please refer to other Velocity & Flow Meters. The SonTek ADV is a single point, high resolution Doppler current meter which provides 3-D velocity measurements in a remotely sampled volume. The ADV is a bistatic Doppler current meter. The term bistatic refers to the fact that the ADV uses separate acoustic transducers to transmit and receive sound energy. The ADV transmitter generates sound with most of the energy concentrated in a tight cylindrical volume, while the receivers are the most sensitive to sound coming from a slightly broader angular range. The transducers are mounted such that their beams intersect over a volume located some distance away, called sampling volume. This document presents a basic description of the effects of the finite sampling volume on the accuracy of the velocity measurements. The SonTek 16-MHz MicroADV (Acoustic Doppler Velocimeter) is the most significant breakthrough in 3-axis (3D) current meter technology since the original SonTek ADV. The original SonTek ADV has compared favorably with Laser systems costing ten times as much — the MicroADV fares even better. 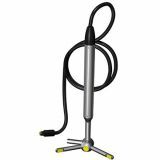 The higher acoustical frequency of 16 MHz makes the MicroADV the optimal instrument for laboratory work. 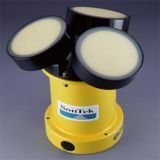 Like all SonTek instruments, the MicroADV is extremely simple to set up and use. Most users are taking high-quality data within minutes of receiving the system. 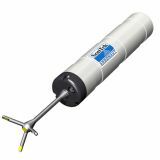 Providing robust velocity measurements in a compact, easy-to-use package, the SonTek Argonaut-ADV is the ultimate instrument for shallow water flow monitoring. 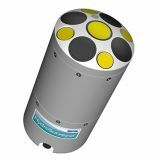 Ideal for low-flow applications in shallow streams, marshes, lakes, or water treatment facilities, the 3-axis (3D) Argonaut-ADV's advanced Doppler technology measures single-point velocity away from flow obstructions. All signal processing is done internally, allowing the Argonaut-ADV to be readily integrated with a wide range of additional sensors. Face challenging white water conditions and extreme weather events head-on with the new SonTek HydroBoard II. Xylem Analytics Asia (Asia Pacific) is a leading provider of premium field, portable, online and laboratory analytical instruments and software serviing water & wastewater, ocean/coastal, food & beverage, environmental, chemical and pharmaceutical markets. 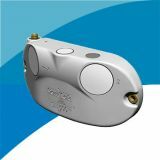 Our product family includes multiparameter sondes, water quality handhelds, current profilers and meters, CTDs, data collection systems, samplers, velocity and flow meters, water level systems, survey and floating platforms, vertical profilers, online instruments, bechtop water quality instruments and other life science instruments. Copyright ©2018 Xylem Analytics - Asia Pacific / Xylem Inc. All rights reserved. Aanderaa, Bellingham + Stanley, ebro, Global Water, HYPACK, MJK, OI Analytical, Royce Technologies, SI Analytics, SonTek, Tideland, WTW and YSI are trademarks of Xylem Inc. or one of its subsidiaries. Specifications on all products subject to change at any time.